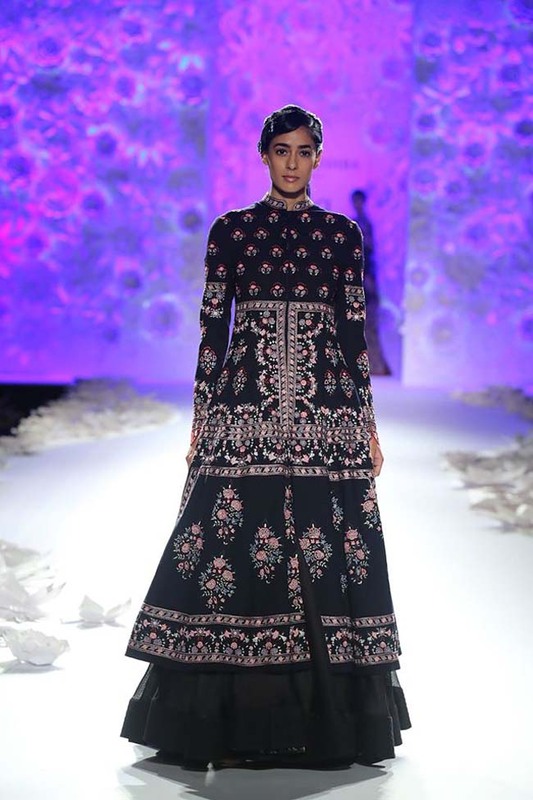 Here’s all you need to know about the latest Rahul Mishra couture 2016 collection titled ‘Monsoon Diaries’. 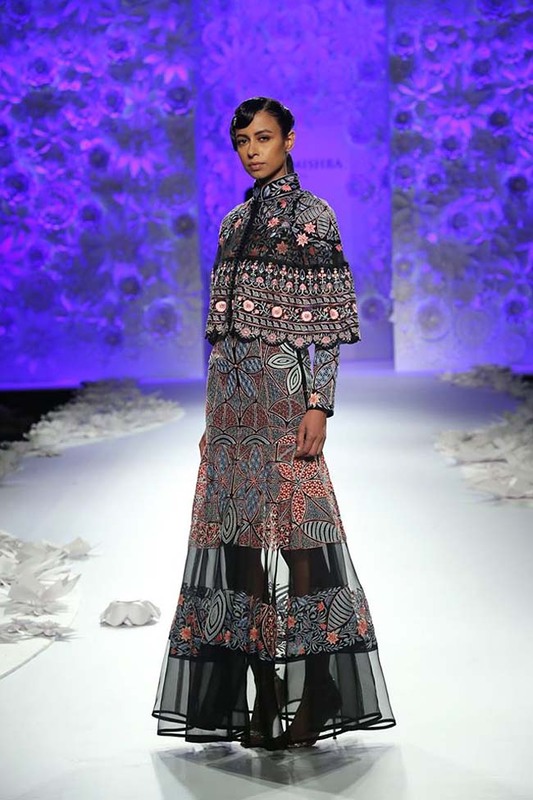 View the collection and read our review. 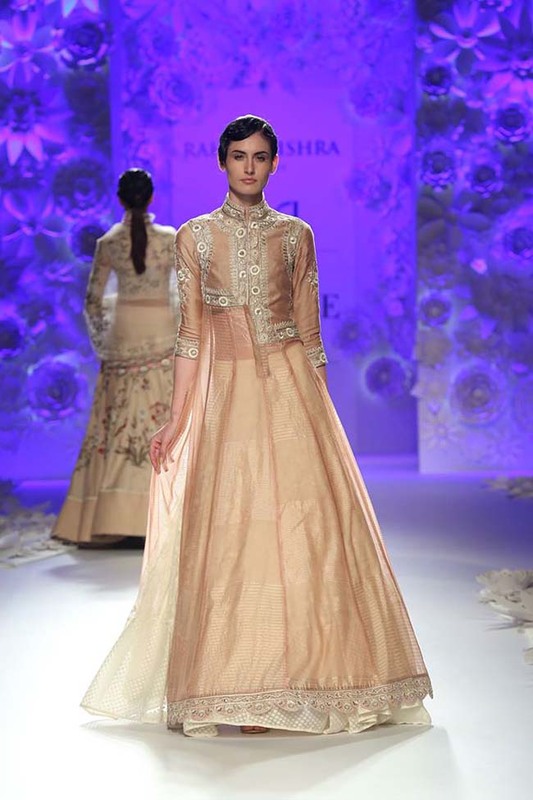 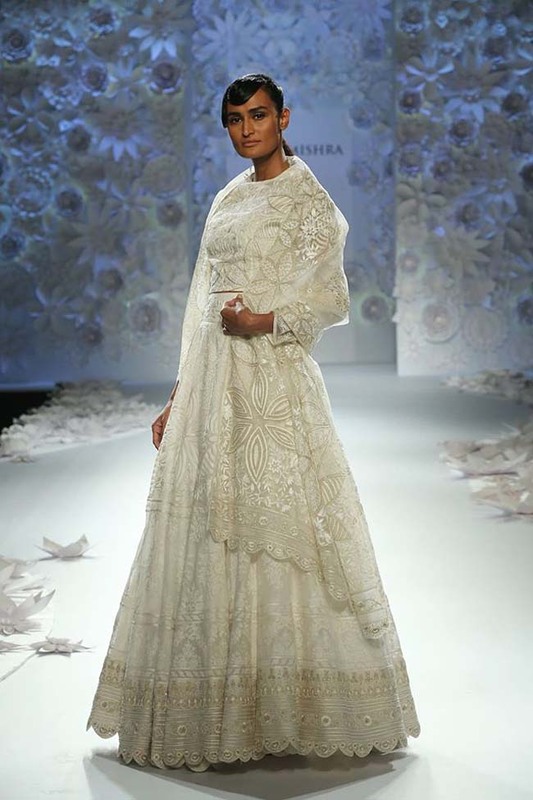 Fashion designer Rahul Mishra showcased his latest collection at India Couture Week 2016, titled ‘Monsoon Diaries’. 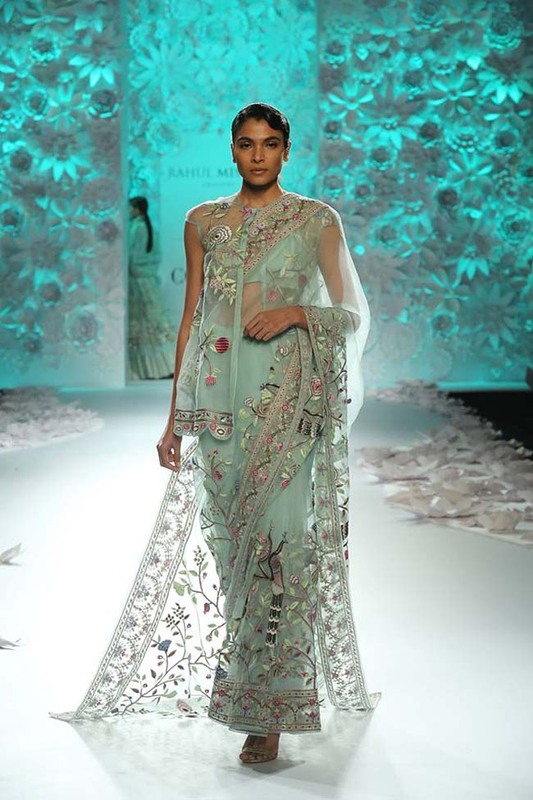 This fashion show was all about the inspiration brought by nature, specifically the monsoon season. 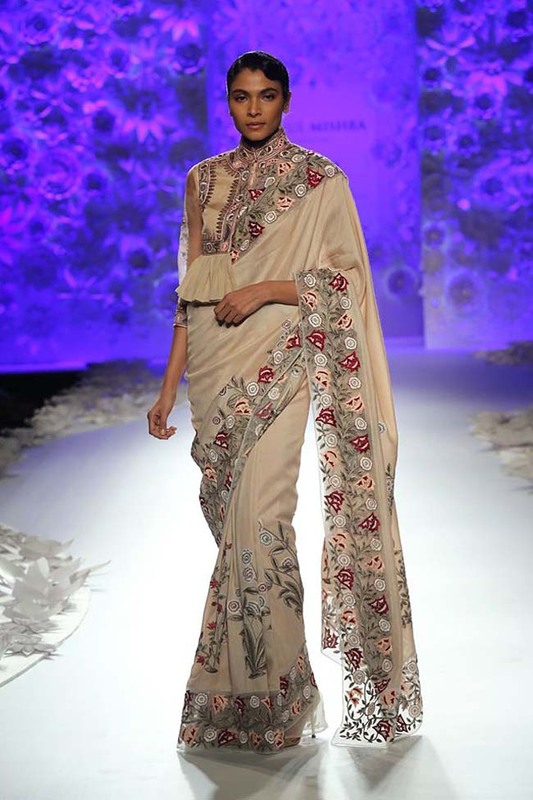 This collection used silk and cotton, just like Mishra’s previous collection. 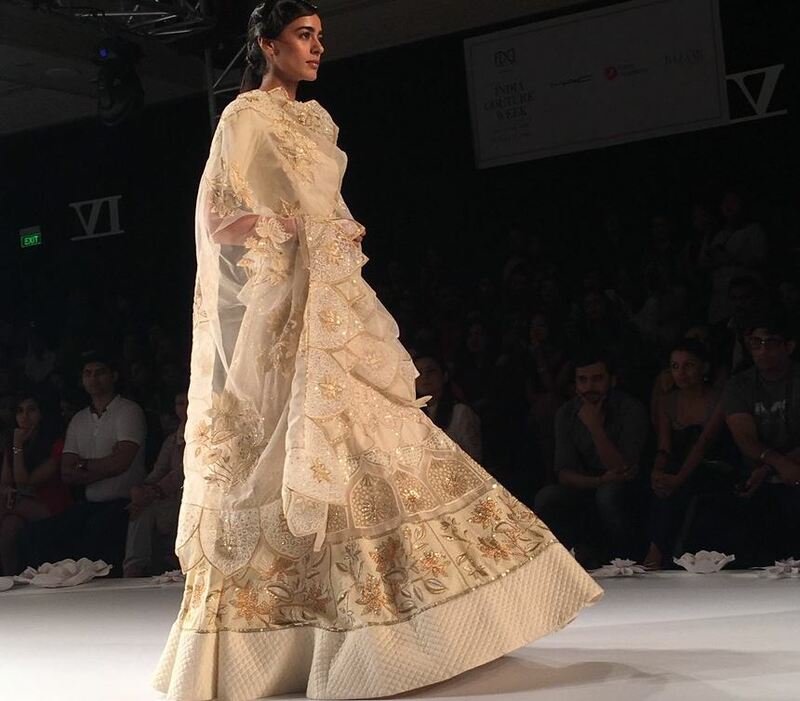 However, the heavy embroidery here made it more bridal than the designer’s other ensembles that focused more on Indo-western mash-ups. 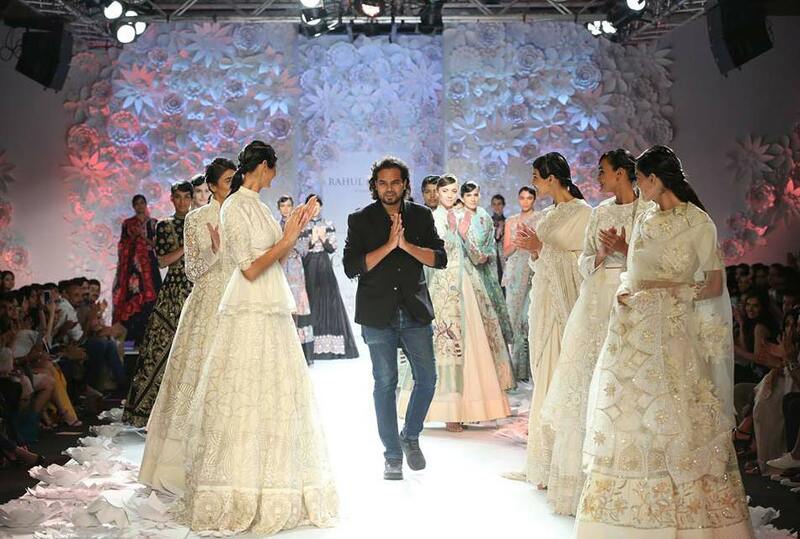 “The collection is inspired by German biologist and artist Ernst Haeckel’s work – Art Forms of Nature”, Rahul Mishra said in an interview. 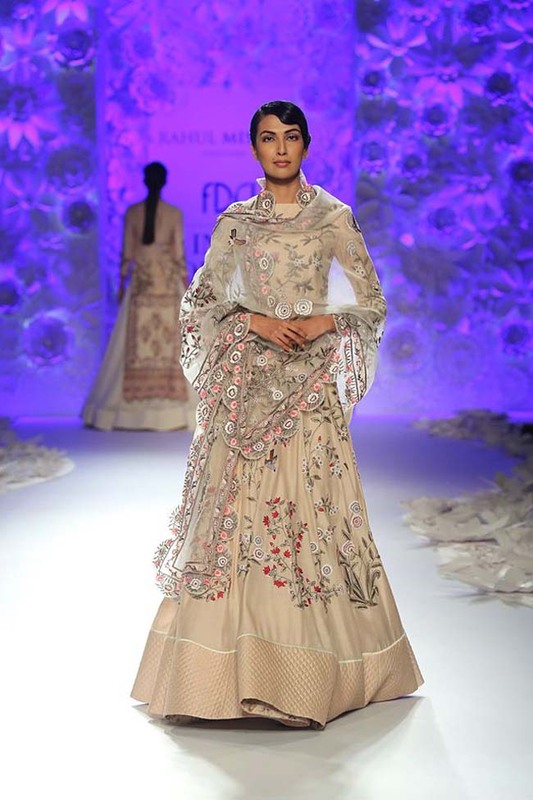 These bridal couture ensembles use hand-woven fabric with handmade embroidery using metal yarn and zardozi. 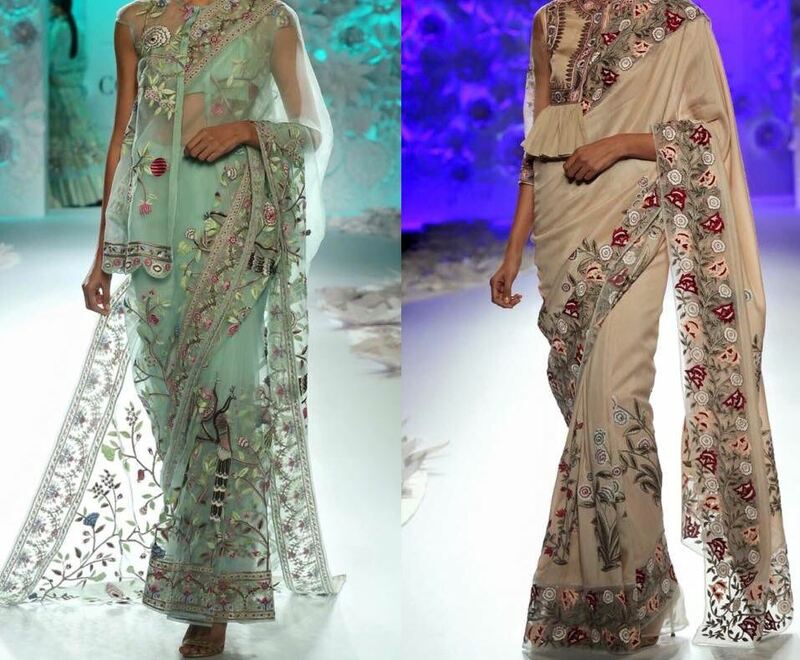 The hand-woven artworks included peacock, birds, flowers and other nature-inspired motifs. 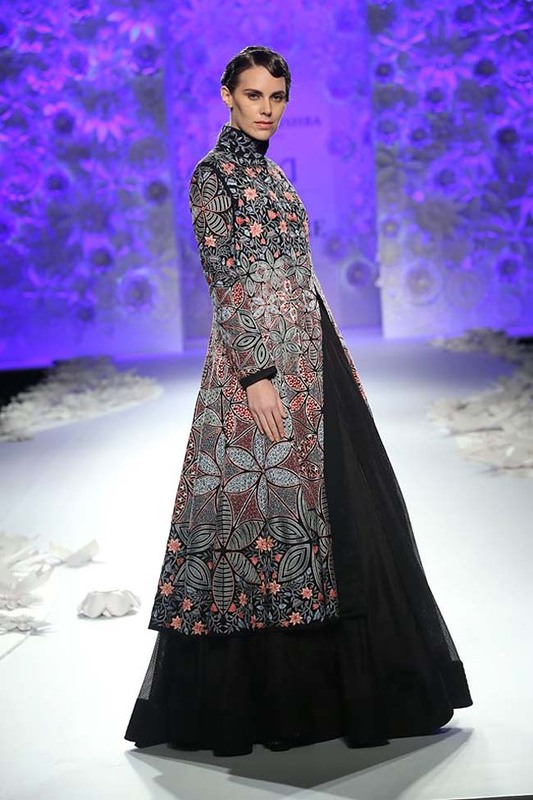 The silhouettes included floor-touching gowns and long skirts worn under a collared poncho or embroidered collared jackets. 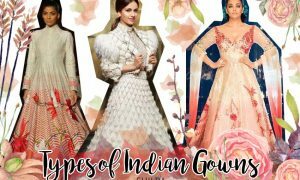 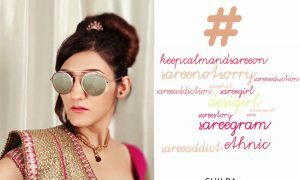 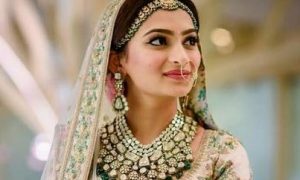 Lehengas worn with crop-blouses and sheer dupattas were also seen, sometimes saris worn with a sheer jacket and some with ruffled blouse. 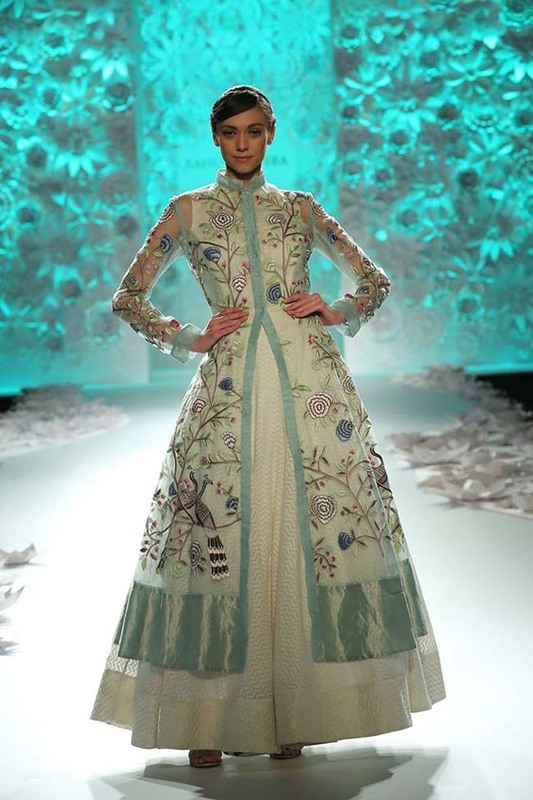 The color palette included earthy tones like soft mint-green, off white, pale blue, peach and also some black. 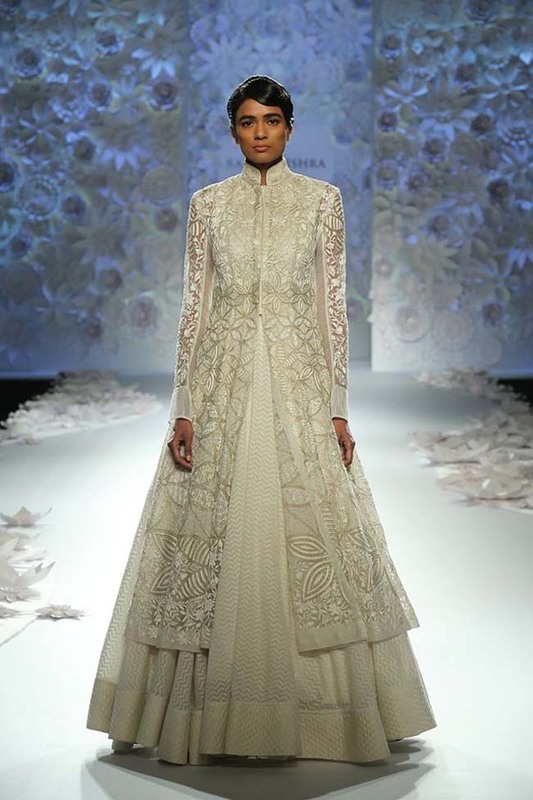 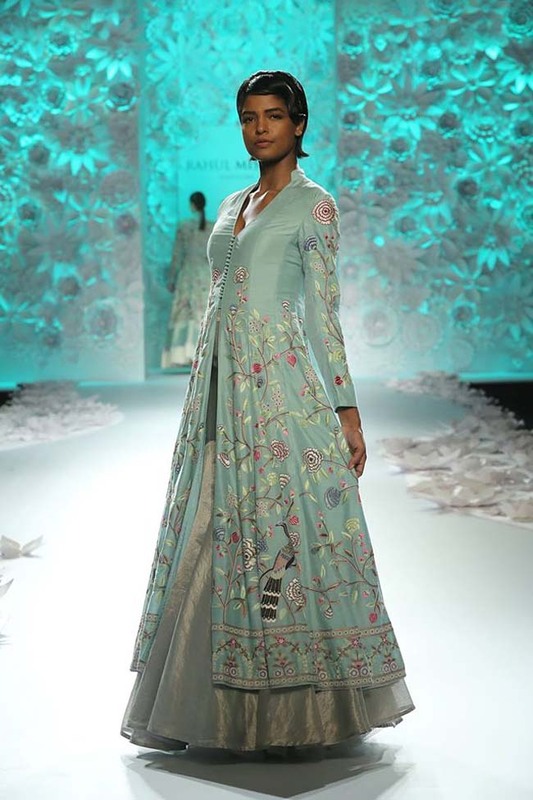 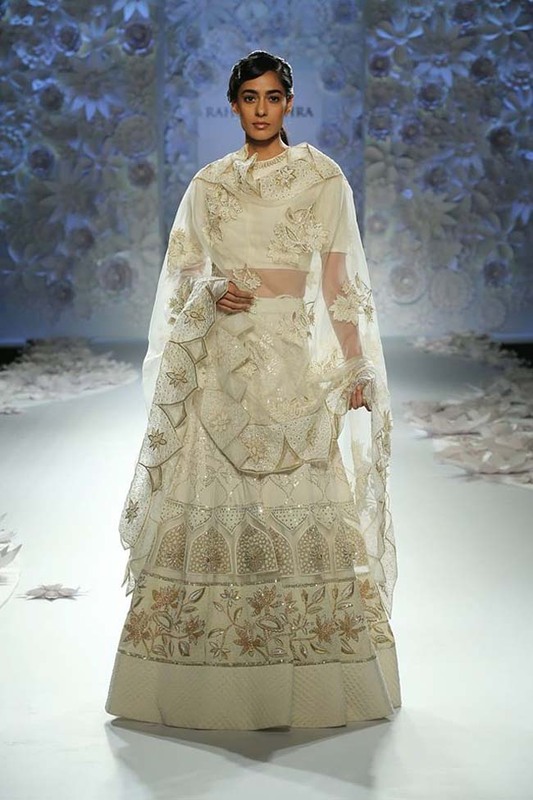 Here is my favorite look from this collection- off white lehenga with floral motifs paired with sheer dupatta.